4.Choose a Backoffice category (The Backoffice category will help you to organise your Items in your Financial Reports and in your Calendar). 5. Enter your Package Title. 6. Select between an Auto or Manual pricing (refer to this article for more information). 7. You can opt to create a package with or without Accommodation. 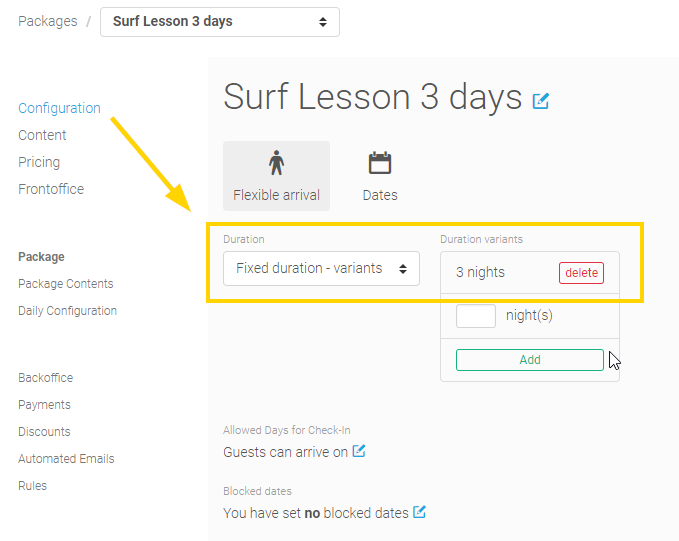 In the package's settings page, under the configuration section, select duration: Fixed duration - variants and choose the number of days in which this activity will be offered (In this example, we are setting up a surf lesson with a frequency of 3 days). 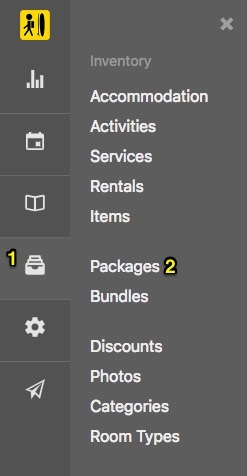 Important: If your package was created using the AUTO pricing option, please make sure you have set a pricing for the individual activity in the Inventory>Activities section.